Appliance repair in Paterson, NJ, has never been as easily obtainable as with the experts at Appliance Repair Paterson. We respond faster and more effectively to provide appliances repair services for your home. Paterson has the distinction of being Passaic Counties largest city. Our technicians have been thoroughly and professionally trained to ensure exceptional results. We will service washers, dryers, refrigerators, and stoves quickly and accurately. You can call us for dishwasher, freezer, and microwave repair too. We are the best team to call for service on home appliances because of our experience and industry knowledge. Our company has excelled at appliances repair service for many years and we always treat you the way in which we would want to be treated. 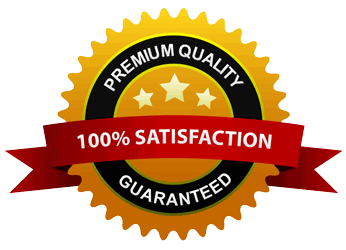 At Paterson Appliance Repair we run our operation with genuine integrity. We want your business, but we want to earn it through hard work and an honest business approach. The important thing is that you can depend on us to be there to address your service needs. Many of our kitchen appliance repairs are refrigerator related. Thermostats are a common problem with these units. We carry quality replacement parts for all units in the kitchen, including heating elements for stoves, gaskets for dishwashers and fridges, and new switches for all. Laundry room appliances also fall under our expertise. We carry replacement belts and heating elements for dryers and hoses, switches, and agitators for washers. Our ability to keep parts close at hand enhances the speed of service we offer. Every appliance service technician on our team is factory trained to service all units in the home, including small appliance repair. We are prepared to fix microwaves, garbage disposals and so much more. Call Appliance Repair Paterson first for service you can trust.